LOVINGTON, N.M. – Kynzie McNeill reflects on her youth in southeastern New Mexico with great adoration. She should. She’s awfully proud to be from Lea County, where she’s done some brilliant things. But the biggest piece of her life came in June when she claimed the barrel racing national championship at the College National Finals Rodeo in Casper, Wyo. And like anyone who is from this community, she is looking forward to being part of the the Lea County Fair and Rodeo, set for 7:30 p.m. Wednesday, Aug. 8-Saturday, Aug. 11, at Jake McClure Arena. Yes, it is, and it’s a big deal for the community that has a strong rodeo background. Lea County is home to rodeo greatness, where gold buckles are forged with sweat dispensed through hard work passion. It’s where Jake McClure developed his tremendous talents and where Troy Fort set the ground work for world titles and Sonny Davis battled through a ProRodeo Hall of Fame career. “We’ve always had lots of locals,” said Trey Kerby, a Lea County Fair Board member who serves as chairman of the rodeo committee. “It says a lot about the local girls and guys. For them to come back and show up at our rodeo means a lot. Kynzie comes from a ranching family. She knows how to work hard and get things done. That’s exactly how McNeill grabbed the top prize in college rodeo. 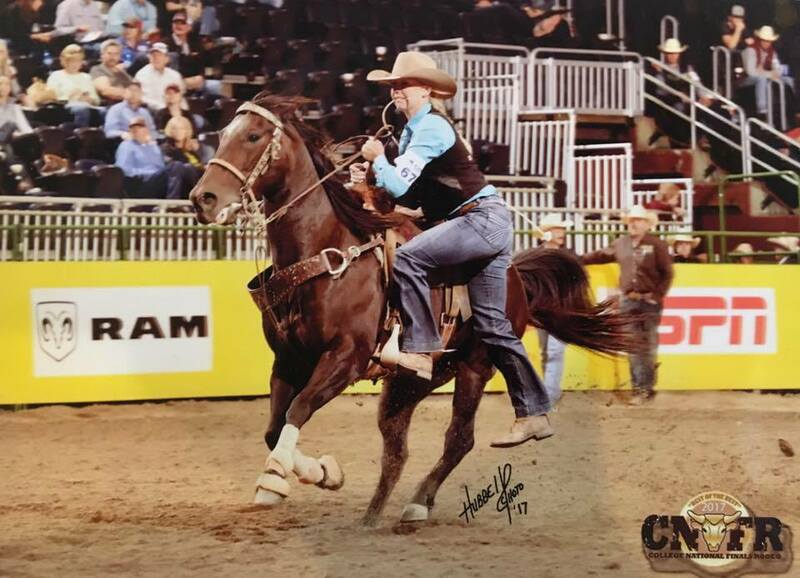 She struggled through the regular season and didn’t qualify for the CNFR as a barrel racer. But since the team finished atop the Southwest Region standings, she made the trip to Casper as part of the four-person team. From there, she placed in all four rounds and won the title. The escalator reached the top of the college world a month ago, and now she’s going to show her hometown and her friends in southeastern New Mexico just how much she loves the game when she arrives in Lovington for the ProRodeo.